WITH the Bank of Spain’s proposed modification to Circular4/2004, Spanish registered banks may now be required, at least once a year, to assess the accuracy of all property valuations and reappraise if there is a significant depreciation. This is long overdue and will give many banks a clearer – and possibly scarier – picture of their current investment standings. The mortgage process in Spain requires a valuation from a Spanish Tasador, who is instructed by the bank. However, because Tasador valuations are regulated by the Bank of Spain this opens the door for economic ‘tinkering’, resulting in the valuations not being the true market value. Presently, the Survey Spain Network of RICS Chartered Surveyors undertake periodic valuations for various European banks who require updated market valuations of their current mortgaged stock. This is a trend we are seeing more frequently as banks turn to RICS valuers to get true market valuations after being disappointed with the ‘accuracy’ of Tasador reports when the property is eventually sold. Tasadores are bound to value properties for mortgage purposes based only on the information contained within the Escritura as a result of the authorities wanting to combat tax avoidance. However, this often provides a false impression as extensions or pool additions are often only formally registered within the Escritura when the property changes hands. Also, the banks often require the valuation to be after deduction of taxes and essential expenses, which can be as much as 10% of the value. For example, say a bank has taken ten properties within a development and five of these have been extended. If the extensions were not registered (assuming all licences and permissions have been granted) the valuations from the Tasador will all be the same, even though half of the properties are worth considerably more. In comparison, as RICS Registered Valuers are internationally regulated without a national interest, their guidelines mean valuations are based on ‘what is seen’ on site and measured accordingly. 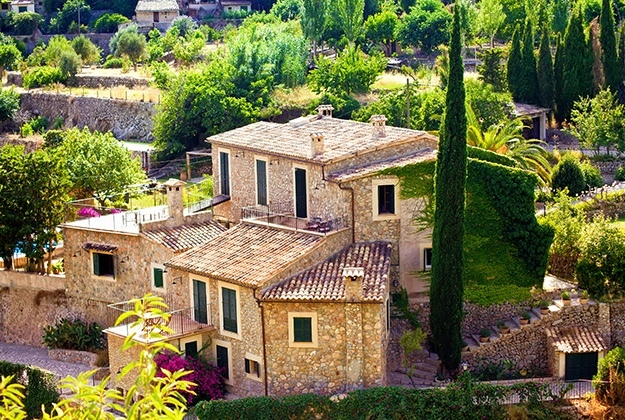 Another client recently wanted to purchase a detached villa with pool and their bank arranged a Tasador valuation. In this case, the property was valued for the bank below the asking price, although we had valued above asking price. When the two valuations were compared it was found that the pool, being 10 years old with all licences and permissions, had not been registered within the Escritura. Therefore it was not included in the Tasador valuation even though the bank’s valuer had physically inspected it. People are unaware that their property may have been valued on a different basis and that recent legislation has effectively meant that RICS valuations cannot be used by banks wanting to register the mortgage of a property in Spain. Tasador valuations are not necessarily wrong, they may just be based on a different set of rules not related to true market value.